So you do not know your Ein is or have misplaced it! Good thing there are many Ein Lookup tools available for your business to lookup your EIN. Why is your EIN important? Think of your EIN, or Tax Identification Number, as your business’ social security number. For the most part, you don’t need to know the specifics about your EIN number, all the things it’s used for– from applying for business financing to filing your business tax returns– and how one is issued, as simply having your number is enough for anything you’ll ever need it for. That is…unless you lose it. Specifically, I’m talking about losing your Form SS-4– the form you submitted to the IRS when you applied for an EIN number– or the confirmation letter that’s typically given to you by the IRS when an EIN or TIN is registered to you which has your EIN number on it. How many EIN can I have? The number of separate entities you have is how many employer identification numbers you are allowed to have. i.e. If you have ten different entities you can have 10 different EIN numbers and so on. *Side note: An Employer Identification Number (EIN), or Federal Employer Identification Number (FEIN), goes by many names including Tax Identification Number (Tax ID) and 95 Number. Don’t let it confuse you, these are all different names for the same number. For more information about EIN numbers, visit IRS.gov. Preferably, you have your number memorized. However, unlike your social security number, you didn’t grow up with it and haven’t used it dozens of times in the past so it’s common for you to attempt an EIN lookup. At most, you’ve probably used your EIN no more than a handful of times. So the chances a business owner has their EIN number memorized are slim. 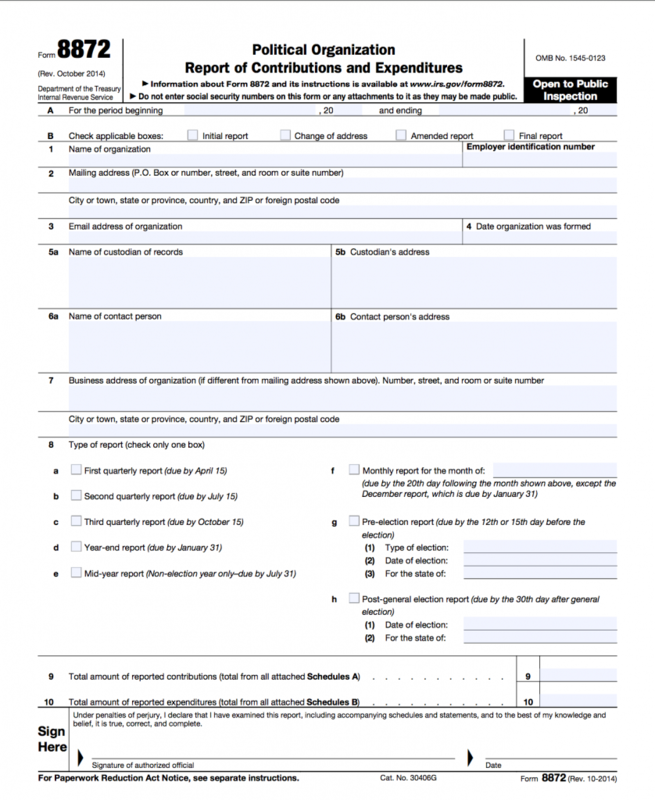 You can’t obtain a copy of your Form SS-4 from the IRS without your EIN, which means you can’t obtain your EIN by simply requesting a copy of your SS-4 or confirmation letter. So, if you no longer have a copy of your Form SS-4 or confirmation letter, you’ll need to use one of several other methods of EIN lookup to acquire your EIN (whether via pre-existing paperwork or EIN lookup platforms). But first, why is it so important to keep your EIN or Tax ID number on-hand? Why should you make an effort to keep your Form SS-4 or confirmation letter in your files for whenever you’ll need it? Let’s talk a little about why an EIN is important and then we’ll cover 4 methods for finding it. Lastly, we’ll touch on when and how to apply for a new EIN in the rare case that you should actually be getting a new EIN and not using an old one. An EIN, or Tax ID number, is important for several reasons. Most business owners associate an EIN with taxes, and it’s true that one of the reasons a Tax ID is important is because you use it for filing your annual tax return as well as making associated tax payments. If you ever have plans for applying for any type of working capital loans or intend to open a business account at a relevant bank, you’ll need your EIN to certify that you’re an official business. Some sole proprietors can get by without one. However, if you don’t have an EIN you’ll be filing your taxes together– both personal and business– which can make your business financials messy. When a bank or lender requests your EIN while applying for any kind of business loan or other financing, it’s easy to get tripped up because it’s not the kind of thing that you keep on hand. If you lose your number, that can slow down the financing process or keep you from being able to open that account, which can have real ramifications for your business. Fortunately, it’s relatively easy to obtain your EIN if you’ve lost it. Before we get into other methods, do yourself a favor and dig around for your EIN confirmation letter. You might not have your original Form SS-4 which you can provide to the IRS to obtain your EIN, however, you the IRS provides a confirmation letter to every business owner once their EIN is officially registered so you might still have that hanging around somewhere. So, you can’t find your confirmation letter, you’re frustrated and really need to find your EIN now. Don’t worry, we’ve got a few more methods for obtaining your EIN or Tax ID number even if you don’t have your Form SS-4 or confirmation letter to help with your Ein lookup battle. First, check over any and all tax documents, including tax returns and notices, that you have on file related to your business. 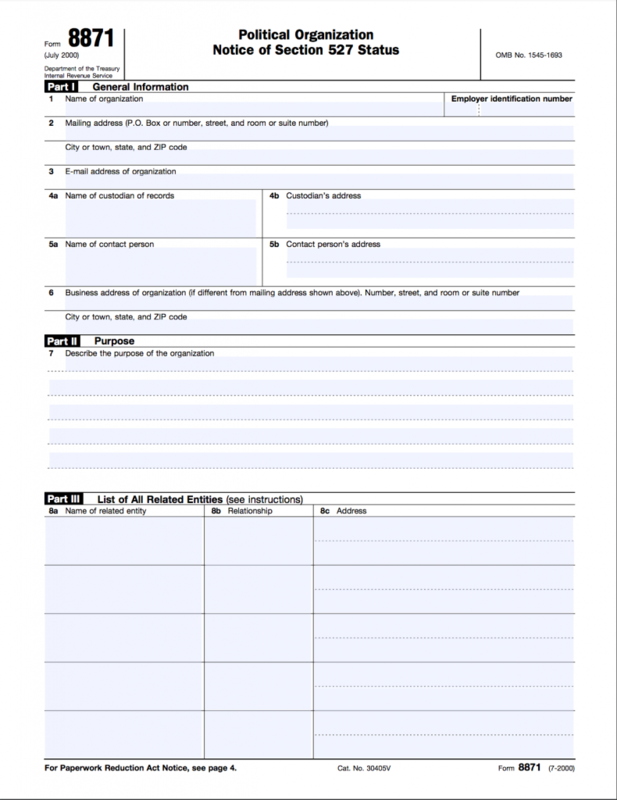 Each of these tax documents should have your EIN listed at the top of the first page. Form 8871 and Form 8872 are related to contributions and relevant gifts to political organizations. 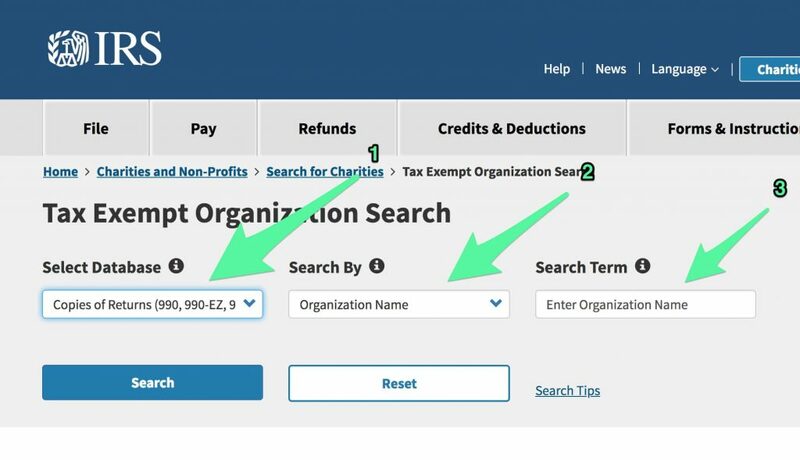 If you’ve ever given a monetary or other gift to a relevant organization, you can locate the information the IRS has on hand for either form to get your EIN. First, head to IRS.gov via this link: IRS.gov 8871+8872 combined search. 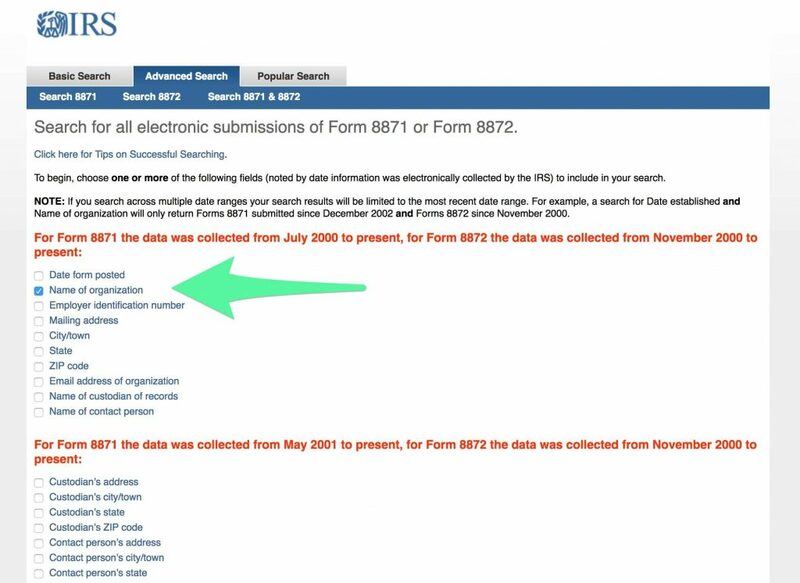 Assuming you’ve entered your information correctly, you’ll be presented with information from your Form 8871 and 8872 which you can then use to locate your EIN (just as your tax returns, it will be listed at the top of the first page). 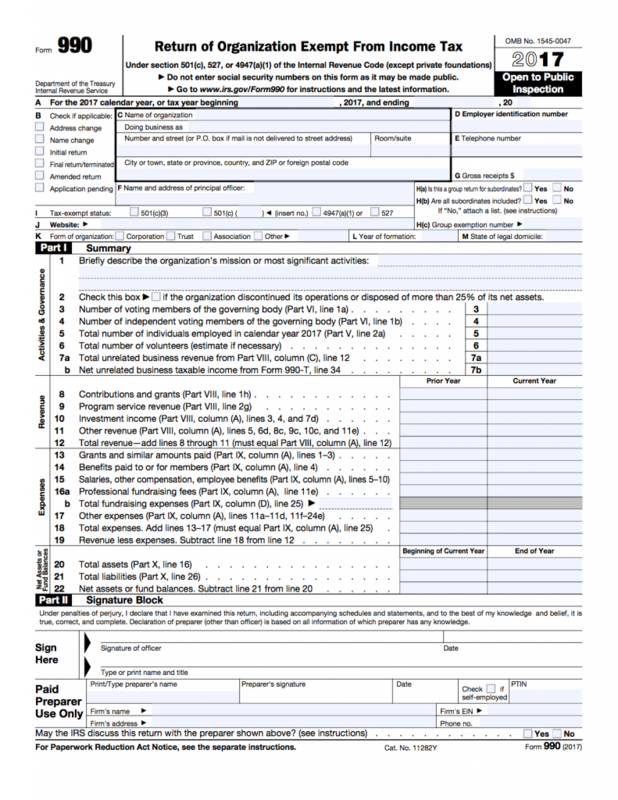 To search via Form 990, visit irs.gov/app/eos/. In addition to tax documents, you can also use most other relevant business documents to find your EIN. Any and all official business documents must list your EIN, so they’re a reliable way to procure it. However, it’s important to note that documents related to the formation of your business, whether that’s your Articles of Incorporation or DBA documents, do not list your EIN. If none of the above search methods work for you, calling the IRS is another simple and straightforward option. The IRS’ Business & Specialty Tax Line is accessible at 1-800-829-4933 from 7:00 A.M. to 7:00 P.M. (local time) Monday through Friday. Simply call the number and tell the representative you need your EIN. For this method to work, you need to have access to certain sensitive identification information, however, if you’ve got that then it’s a pretty painless process aside from the typically long wait times. Once you’ve answered their security questions, they’ll be able to provide your business’ EIN. You EIN or Tax ID number will stay with your business for the life of the company. For more information and a complete list of cases where your business will need to obtain a new EIN, see irs.gov/pub/irs-pdf/p1635. One common case where you would not need to apply for a new EIN is in the case of a business ceasing operation and then picking up shop again later. If you’re picking up operations again after a hiatus, your EIN is still relevant. It can be frustrating to attempt to open a new business account or apply for financing, be asked for your EIN, and proceed to find out that you’ve lost it and all relevant paperwork with your EIN or Tax ID number. However, there are several simple and easy ways to obtain your EIN even if you don’t have a single tax return or your confirmation letter. If you can’t find your EIN or Tax ID number, look around for your confirmation letter, and if you can’t find it, look through your relevant tax and business documents. If that doesn’t work, simply give the IRS a call and provide the necessary information. No matter what, obtaining your EIN should be easy. So, if you’ve lost it, and not having it is holding you back from moving forward with something important, don’t sweat it.